Andrew Lloyd Webber and Tim Rice’s musical colossus Evita returns to the Midlands this week as this sumptuous, technically audacious production of the show continues its acclaimed UK national tour. Everything that made the show such a towering and impressive achievement well worthy of its five star review we bestowed upon it last year remains thankfully intact, with an indelible aura of quality and, at times, majesty permeating around what is surprisingly one of Lloyd Webber and Rice’s earliest collaborations. The sophistication and maturity with which they weave the tale of Eva Peron’s rise from obscurity to political and cultural juggernaut through a masterful, instantly recognisable soundtrack remains as bold, beautiful and intricate as ever. And with the sublime Madalena Alberto thankfully remaining front and centre as the titular character, Birmingham audiences have the opportunity to witness what surely must be the definitive interpretation and performance of one of musical theatre’s most iconic and demanding roles. Recounting the rise to fame and power of Eva Duarte (later Perón) in her ascent from aspiring actress through to the most powerful woman in Argentina (and arguably South America) in the early-mid 20th Century, Evita is a well-paced affair, though speckled with history and politics in such a way that may prove a touch inaccessible to those unfamiliar with the story of Perón and Argentine politics of the time. 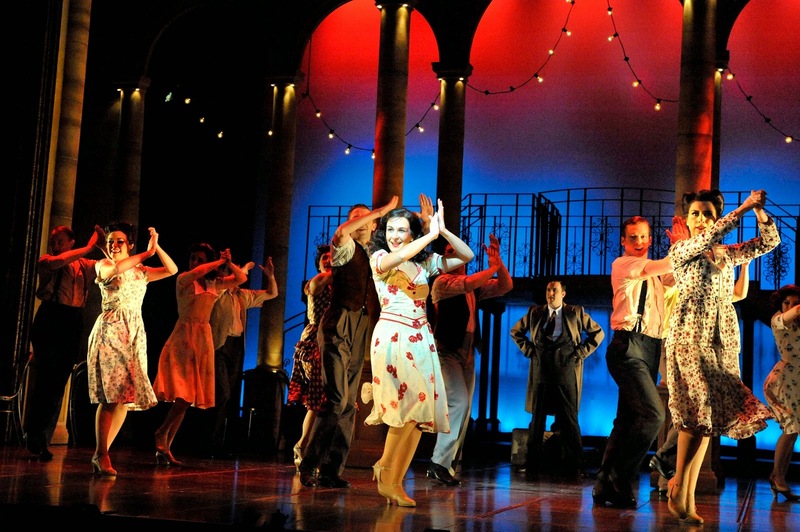 Even with the presence of moralistic narrator Che (Marti Pellow), who frequently contextualises Perón’s story and keeps the audience up to speed on what they are seeing, this is a show which leaps through years, events and major political happenings on a quick whim, particularly toward the later end of Act 1, and it’s almost vignette approach to charting Eva’s story means a little pre-familiarising for those coming to Evita for the first time is perhaps recommended. 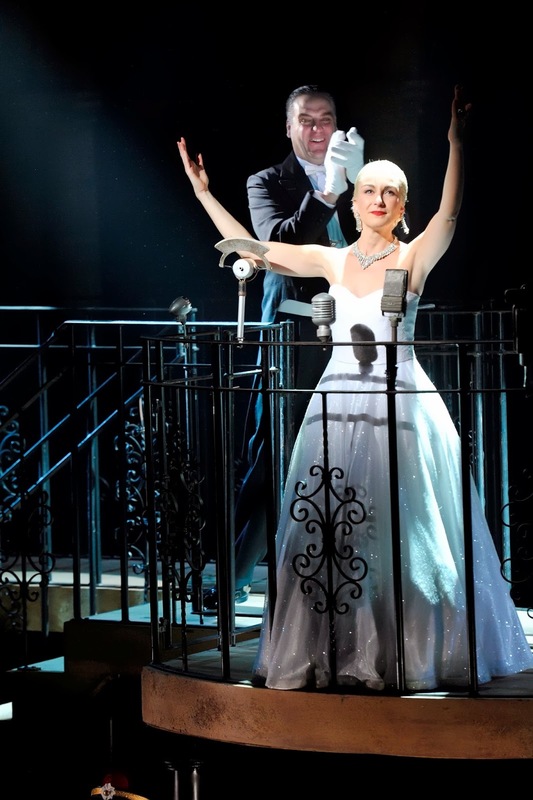 That minor caveat aside, Evita remains a triumph of blending biographical storytelling with Lloyd Webber and Rice’s trademark flare for musical set piecing and character work. For every political or expository ‘The Art of the Possible’, ‘A New Argentina’ and ‘Rainbow Tour’ there are the character beats and pauses of ‘Goodnight and Thank You’, ‘Another Suitcase in Another Hall’ and ‘High Flying Adored’. It’s a masterful balancing act, giving the effect of being at once both a musical take on a slice of history and an ambiguous character study of a highly divisive figure, and it’s an approach that is not only highly successful and effective, but one that only becomes more impressive and notable on repeat viewings. This is not a show which doggedly adheres to any strict musical theatre conventions, be they narrative or otherwise - Evita is decidedly it’s own entity, further compounded by the moral ambiguity of it’s lead ‘heroine’, and it is this ardent lack of audience hand holding and original approach to musical narrative that makes it as fresh and engaging as it was almost 40 years ago. As mentioned, technically the current UK touring production is a glorious, grandiose affair that is easily on par with the majority of West End shows in regards to its visual impact. Exquisite costume and set design complement an approach to staging and blocking which uses height and spectacle to fittingly elevate and reflect Eva’s ambitions and actions and the growing might of Peron and his ‘new Argentina’. When the pomp and ceremony is required, no space in the stage cavity is wasted, be it for a charity fundraiser, the Perón’s now iconic election address, and even Eva’s own funeral procession. All are lofty, palatial, striking sets; Evita certainly gives good spectacle, and it’s an approach that brilliantly lends further alienation and exposure to the few moments where it is all stripped back and Eva’s humanity, achievements and motives are brought under scrutiny. As wonderful and marvelous as the shows achievements technical and artistic may be however, it is truly the cast and company which prove to be this touring production’s real star draw. In addition to the uniformly excellent ensemble, Sarah McNicholas is tender and empathetic as Perón’s mistress, lending crystalline, beautiful vocals to ‘Another Suitcase’ whilst Nic Gibney makes the perfect Magaldi and sings an absolute treat. Mark Heenehan sheds a great deal of Perón’s potential malice and authority, giving a slightly more human, if imitative, take on the role, his Perón seemingly a little stuck between previous incarnations (Jonathan Pryce’s work in the 1996 film adaptation in particular) and the differing perspectives on the role and figure. His softer, gentler approach does, however, work beautifully in the shows intimate closing numbers and he is a much more sympathetic figure than other productions have presented. Marti Pellow makes a wonderful Che, commanding rough, earthier vocals than his previous pop music stylings would suggest, and, courtesy of his performance and some knowing direction, judges his presence on stage for the vast majority of the show perfectly. As Che, Pellow is adept at retreating to watch from the shadows when necessary, yet crackling with a raw passion and energy as the show’s sardonic commentator and at times vitriolic and judgmental opposer of the Perón’s ambitions, values and half-truths when he takes front and centre, which is often. He also holds one heck of final belt with the last note of ‘And the money kept rolling in’. The real star of the show though, is undoubtedly Portugese singer-actress Madalena Alberto, who gives an utterly astonishing and transformative turn in the titular lead role. Alberto acquits herself here with such phenomenal control and confidence with a character which demands a huge deal of discipline and talent from any performer - singing, dancing, the taking on of some now-iconic signature numbers, and not least of all the extraordinary timespan, journey, evolution and eventually decay that the character experiences over the course of the show, with Alberto consistently faultless and downright mesmerising across-the-board. Breathtaking, powerful vocals met with a physical ownership of the role that are both as genuinely impressive as any who have taken on the role before her (yes, including the likes of Elaine Paige and Patti Lupone), if for no other reason you go and see Evita, do so to experience what is genuinely one of the most brilliant and breathtaking female performances in musical theatre you will have the pleasure of experiencing, be it on tour, in the West End or beyond. 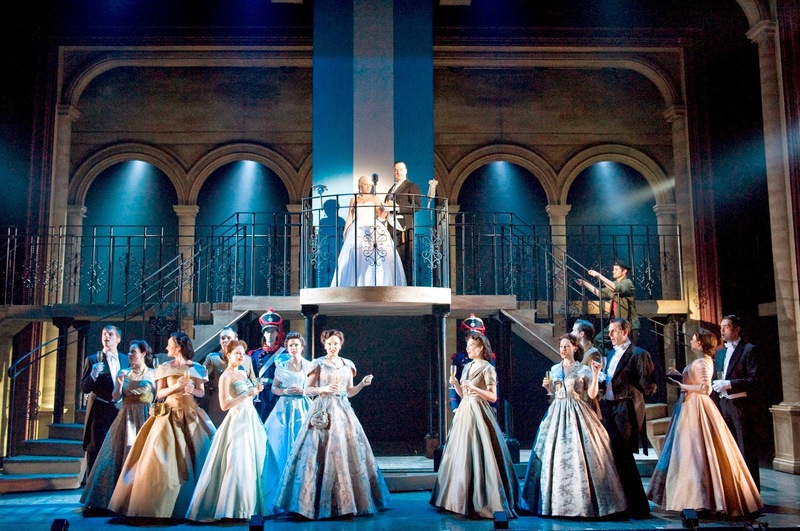 In all, Evita may not be the most immediately accessible or conventional of musical experiences, and it’s busy exploration of both history and character may prove too choppy and erratic for some, but it nevertheless remains one of theatres most passionate, dazzling and visceral experiences. This current UK tour is as good as Evita gets, with none of its scope or impact sacrificed by dint of being taken on the road, meaning with some confidence you can experience why the production remains such a beloved and celebrated classic. Having seen this particular production now for a third time, the energy, passion and excitement has never been more apparent, and it also bears up particularly well to repeat viewings, particularly given the ambiguity and complexity with which they address the Peron's rise to power and Eva's own catalogue of contradictions and dimensions. With spectacle, scale and eye candy in abundance, a catalogue of classic, seminal songs (having not even mentioned ‘Don’t Cry For Me Argentina’) and in particular a central performance as commanding and impressive as any you are likely to see on stage, this production continues to be a sublime experience and the perfect demonstration of why Evita remains the First Lady of musical theatre. 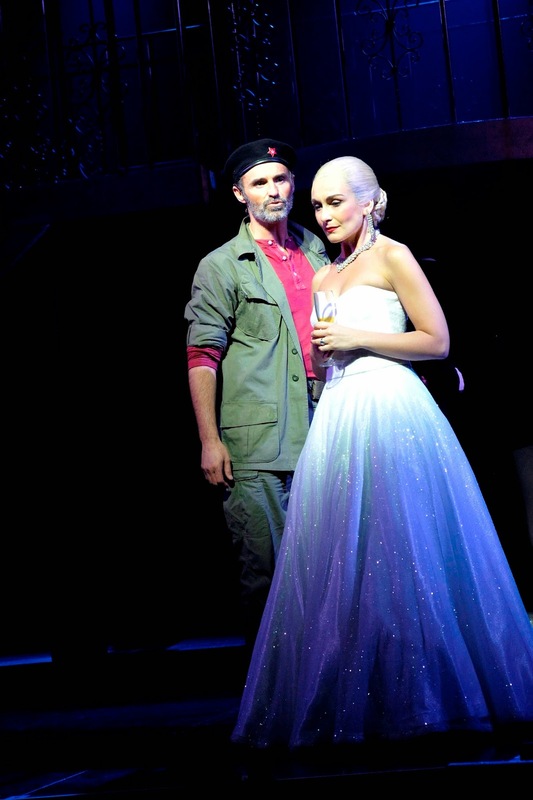 EVITA is running at the Birmingham Hippodrome from Tuesday 08 to Saturday 19 April. Press tickets for this performance of Evita were provided courtesy of the Birmingham Hippodrome directly. (A)musings Media gratefully acknowledges their generous invitation.